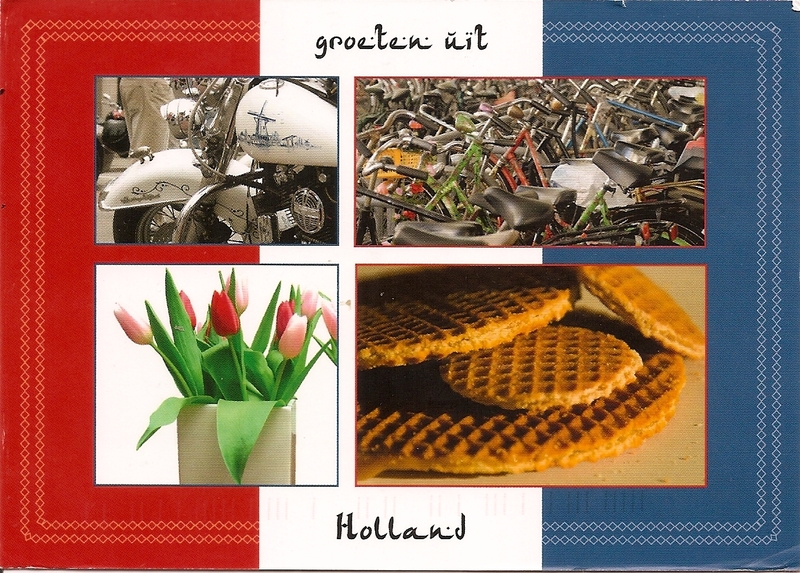 This postcard from the Netherlands that I received Saturday shows all things I love about this country. Top left is a motorcycle painted in the style of Delft pottery, top right is a group of bicycles, bottom right are stroopwafeln (a waffle cut in half and filled with caramel), and bottom left is a vase of tulips. The note on the other side of the card was exciting, too, because it is from an eighth-grade English class, looking for English practice. 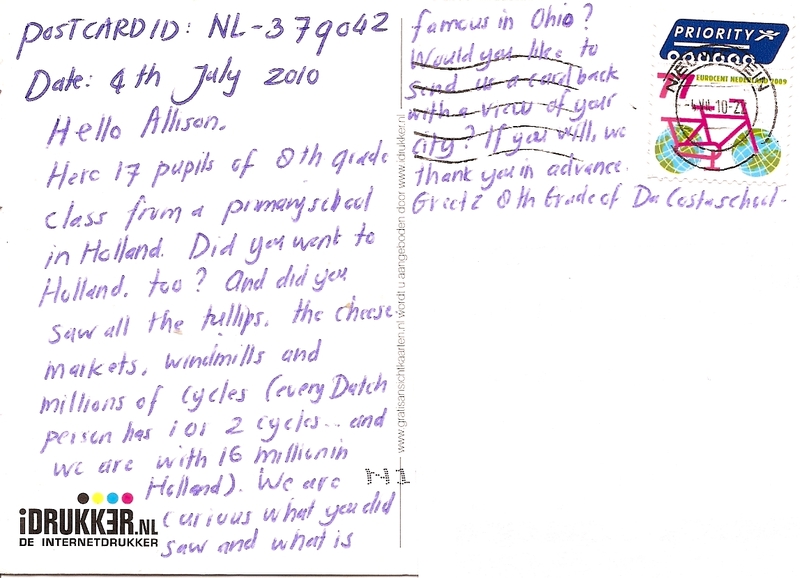 They asked me to write back and tell them things about Ohio and my time in their country. I’m so excited to do this! This entry was posted in Europe, Postcards and tagged postcards, postcrossing, The Netherlands. Bookmark the permalink.